An error in a computer program or system. A microorganism (such as a bacterium or virus) especially when causing illness or disease. An unexpected defect, fault, flaw, or imperfection. Is it time to recognize that Facebook, and ‘Big Tech’ at large, may be a bug in our democracy? In Part 1, I examined how the Facebook-Cambridge Analytica story illustrates the harmful effects of “Surveillance Capitalism.” The erosion of our privacy is contributing to the declining health of our democratic discourse. Moreover though, Facebook has facilitated the proliferation of hate speech, fake news, and international electoral interference. In the space vacated by traditional, reliable journalism, political campaigns have stepped in, working hand-in-hand with data miners to exploit our personal information to, it now seems, dramatically impact our elections. With all due respect to Howard Stern, Facebook is the new ‘King of All Media.’ The company dominates the online media ecosystem, having enormous reach spanning the generation and distribution of news and information. 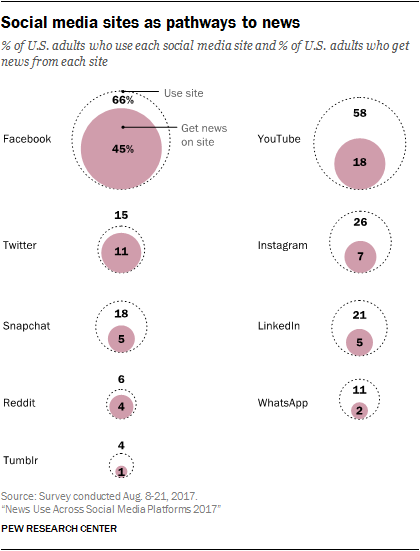 In 2017, Facebook and Google accounted for nearly 70% of external traffic referrals to the websites of news publishers. Buying Out the Competition. Like traditional corporate titans, Facebook grew because, when faced with competition, it responded by buying out its competitors. In 2012, Facebook bought Instagram ($1 billion). Two years later it bought WhatsApp ($19 billion). Later it bought Oculus VR ($2 billion) in a deal that could impact how we receive our news in the not-too-distant future. Dominating Online Ad Industry. Facebook has built a profound dataset for advertisers to data mine by, essentially, becoming the hub of the nation’s attention (and it's only a pocket away!) and collecting massive amounts of data on users. The Google and Facebook online ad duopoly accounted for more than 63% of 2017 digital ad spending. [Facebook has] never publicly admitted it, but in late 2013, [it] began to serve ads inviting users to “like” media pages. This caused a massive increase in the amount of traffic that Facebook sent to media companies. At The Atlantic and other publishers across the media landscape, it was like a tide was carrying us to new traffic records. Without hiring anyone else, without changing strategy or tactics, without publishing more, suddenly everything was easier. Facebook knew that “the news” was content that engaged eyeballs. Though Facebook may be a key driver of traffic to news sites, this has not helped the news publishers’ bottom lines because Facebook captures so much of their users' attention. “Facebook’s increasing dominance over advertising is causing the laying off of journalists, the people who produce the news that it transmits to its users. The logical conclusion to that process is not only the destruction of old media, legacy media, mainstream media, whatever you want to call it, but the end of journalism as we know it,” wrote Roy Greenslade, a Professor of Journalism at City University London. Through this messy, chaotic, dynamic situation, a new media rose up through...Facebook...to occupy the big filter bubbles. On the right, Breitbart is the center of a new conservative network. Through 2015, Breitbart went from a medium-sized site with a small Facebook page of 100,000 likes into a powerful force shaping the election with almost 1.5 million likes. By July, Breitbart had surpassed The New York Times’ main account in interactions. By siphoning the digital ad revenues from news outlets, Facebook became the king of new media. 4. Bug; n., An unexpected defect, fault, flaw, or imperfection. As Facebook and Big Tech have gained a larger role in our news ecosystem, we have also witnessed how much easier it has become to spread misinformation as seen through the proliferation of hate speech, “fake news,” and propaganda meant to undermine trust in democratic institutions. Organizations that communicate hate speech use Facebook to attract followers and organize demonstrations, aided by Facebook’s collection of personal data. Moreover, Facebook’s uneven enforcement of hate speech rules have led to some countries, like Germany, fining the company for failing to delete illegal, racist, or slanderous comments, and posts. Into this murky cauldron, Russian agents used Facebook and other digital platforms to stir in fake news. They set up an endless array of fake accounts and websites, and purchased a slew of advertisements on Google and Facebook, spreading dubious claims that seemed intended to sow division all along the political spectrum. Political campaigns saw an opportunity. They started to fill the information gap, creating personal channels of communication with the voters like never before. By tapping into Facebook’s massive data set, and Facbook's lax data policies, data miners like Cambridge Analytica were able to exploit the psychological profiles of citizens to affect elections. "The data set assembled on people by Facebook is unrivaled," said Scott Galloway, a professor of marketing at New York University Stern School of Business. "The bad news is, people are discovering this can be used as a weapon. The worse news is that people are learning how to detonate it." In a time of fierce, partisan animosity towards the press, political campaigns are all too eager to reach voters directly. Steve Bannon may be a key harbinger of the future of political communication. 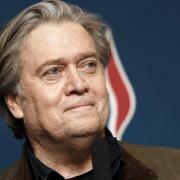 Bannon, as you may know, was a founding member of the board at Breitbart News and rose to executive chair of Breitbart News LLC after the death of founder Andrew Breitbart in 2012. Breitbart News is known as the voice of the alternative right to some and as a cesspool of racist, sexist, xenophobic, and anti-Semitic material to others. Breitbart News, under Bannon’s leadership, also grew its audience using Facebook. Bannon, you may not know, was also a key figure in the creation of Cambridge Analytica. He approached conservative mega-donors Rebekah Mercer and her hedge fund billionaire father, Robert Mercer, to fund the launch of the firm. Bannon named the company, and he served as vice president and secretary of Cambridge Analytica from June 2014 to August 2016. According to a former employee, Bannon oversaw Cambridge Analytica’s early efforts to collect troves of Facebook data as part of an ambitious program to build detailed profiles of millions of American voters. In 2014, Bannon — while he was a top executive at Cambridge Analytica and head of Breitbart News — was deeply involved in the company’s strategy and approved spending nearly $1 million to acquire data, including Facebook profiles. In the summer of 2016, Bannon became chief executive of Trump’s campaign. That same year, Bannon received more than $125,000 in consulting fees from Cambridge Analytica and owned “membership units” in the company worth between $1 million and $5 million. "Facebook now lets you get to places and places possibly that you would never go with TV ads," said Trump campaign digital director Brad Parscale in 2017. Parsacle said the Trump campaign had Facebook employees "embedded inside our offices" to explain how to use the platform to target voters. "Now, I can find, you know, 15 people in the Florida Panhandle that I would never buy a TV commercial for. And, we took opportunities that I think the other side didn't." With Donald Trump tweeting to directly communicate with voters, and the targeted online campaigns of which Cambridge Analytica played a role, citizens could receive personal political information on Facebook in a completely novel way. Trump’s campaign has devised another strategy, which, not surprisingly, is negative. Instead of expanding the electorate, Bannon and his team are trying to shrink it. "We have three major voter suppression operations under way," says a senior official. They’re aimed at three groups Clinton needs to win overwhelmingly: idealistic white liberals, young women, and African Americans. The Trump campaign may also have been aided by Russian actors. The Wall Street Journal reported in December 2017 that Special Counsel Robert Mueller had requested Cambridge Analytica turn over the e-mails of any of its employees who worked on Trump’s campaign. And there have been reports that Mueller’s team is looking into whether Trump’s digital operation provided information to Russians to help them determine which American voters to target with their own digital efforts. According to Fast Company, in 2012 the Obama re-election campaign was desperate to reach voters in their twenties, and sought to reach them on Facebook. Apparently, the Obama campaign used a common Facebook developer API -- the same one used to access the data for Cambridge Analytica -- to create a Facebook app that could capture the personal data not only of the app user, but also of all that person’s friends. The tactic, which the campaign called “targeted share,” was based on research showing that social friends share political beliefs. So the campaign’s app searched out potential Obama voters within the friend lists of current supporters. Carol Davidsen, the Obama campaign’s director of integration and media analytics, said that Facebook was surprised to learn how much user data could be pulled out through its graph API. "We were actually able to download the entire social network of the U.S. Facebook in 2011 had the ability for people to opt in, and the Obama campaign rocked this. We got people to opt in, and the privacy policies at that time on Facebook were that if they opted in, [Facebook] could tell us who all their friends were." Recently, Obama’s campaign manager, Jim Messina, rejected comparisons between Obama’s extensive use of Facebook data to turn out voters in the 2012 election and the actions of Cambridge Analytica. “Cambridge Analytica obtained their data fraudulently, laundered through a researcher who paid people to install an app,” Messina wrote. By contrast, Obama campaign officials say they did not collect information without users' consent or in violation of the rules Facebook had in place at the time. "The '12 campaign told voters what they were sharing and for what purpose," Messina wrote. Facebook is King. After siphoning off the ad revenues from news publishers, the company grew into a significant platform for our democratic discourse. The 2016 election illustrates how the Facebook dataset enabled political campaigns to reach, and discourage, voters like never before. We now no longer have a shared sense of information. And in information vacuums, misinformation has taken root. The questions now are: Does Facebook bear responsibility for some of these harms? Can policymakers set rules that can change course?